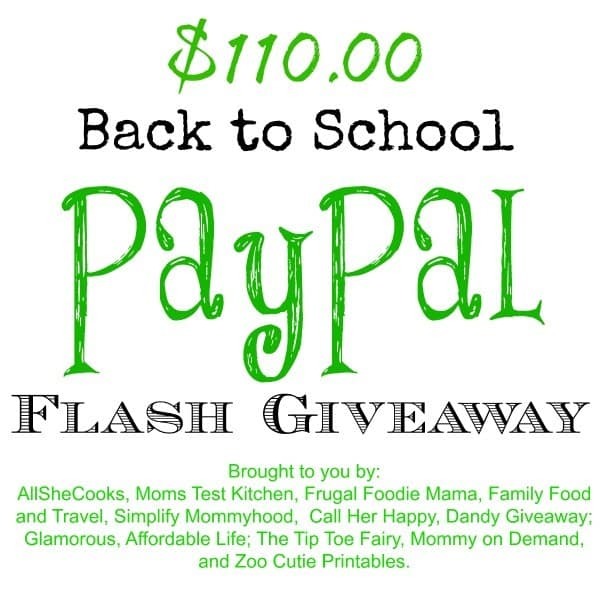 I have joined up with a few other generous bloggers to bring you all a 24-Hour Flash Paypal giveaway! That is right... you have JUST 24 hours to enter and in a little over 24 hours a winner will be picked! Get entered below and Good Luck!! When it's done, it's done. Giveaway ends at 7pm on Friday, August 23rd 2013.